For our pre-May sweeps episode, we welcome the very funny comedian and TV star Mr. Wyatt Cenac as our guest co-host. We take it easy on Wyatt with the more-watchable-than-usual Knight and Day, which just leads to double the usual digressions. Meanwhile, Elliott introduces yet another new Batman villain, Wyatt turns our podcast into his demo reel, and Dan just sits back and does his best to yes-and the proceedings. 0:34 – 6:57 – We’re so delighted by our special MYSTERY GUEST (whose identity was ruined in the show description) that we take even longer than usual to get to the point. 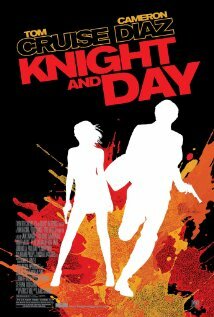 6:58 – 47:29 – In between discussions of Batman villains, we find a little time to talk about Knight and Day. 47:30 – 48:30 – Final judgments. 48:31 – 54:50 – The sad bastards recommend. 54:51 – 56:34 – Goodbyes, theme, and outtakes. For those of you keeping track at home, that’s two Flophouses in a row where The Westing Game was mentioned. If we get three what do we win? Great episode, could you ask Wyatt Cenac to guest again? I’ve listened at least 3 times to this podcast and it still cracks me up every time!